In a way I’m going back to my roots with Englishwoman at Christmas because it’s does have a strong medical slant with Lord Ivy being a plastic surgeon. But he’s not just any old plastic surgeon, he’s a reconstructive surgeon and his speciality? Conjoined twins. He heads up a specialist unit with someone you may have heard of? Professor Mitch Merrien – the male lead in my first romance, Ideal Girl – a book that will always be special. But that’s not all that’s special, or should I say personal about Englishwoman at Christmas. When I was looking around for a setting I was heavily influenced by thoughts of my own romance as it’s coming up to our 25th wedding anniversary soon. 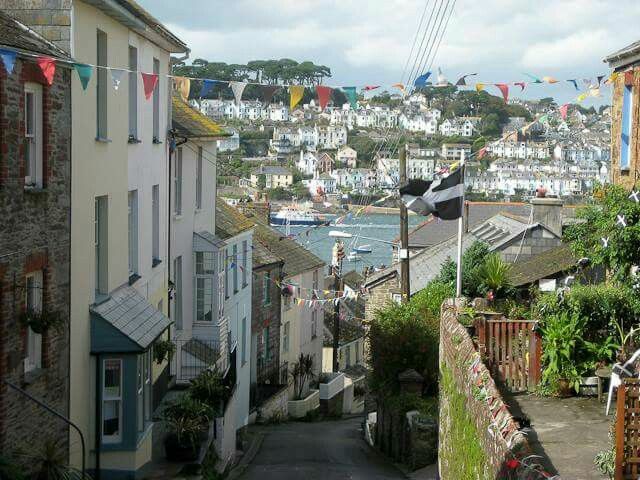 We spent our honeymoon in Polruan, a small village just across Fowey on the estuary. Polruan was the perfect honeymoon idyll. It’s not touristy simply because it’s not the easiest of places to get to unlike its more popular counterparts. But, for us, that made it all the more special, after all, three’s a crowd on a honeymoon. Sarah Morgan has long been one of my favourite writers. Her ability to weave words on a blank page is renowned and it wasn’t me that coined the phrase magician with words, but it could have been. Moonlight over Manhattan is a charming tale of strength over adversary. Harriet and Fliss are twins: we have already found out Fliss’s tale in holiday in the Hamptons, a summer hit for Sarah. Now, it’s Harriet’s turn. Harriet is the shy twin, she also suffers from a speech dysfluency, or stammer if you like. Now this, for me is where the story got a little freaky. As a parent of twins, one of whom suffers from a speech dysfluency I think you’ll agree that I wasn’t able to view this from a position of neutral. I was all for being super critical but I was left eating my words (no pun intended) and can only comment on the indepth level of research that has been undertaken. The story grabbed me from page one and, although I didn’t finish it in one sitting it did only take two.